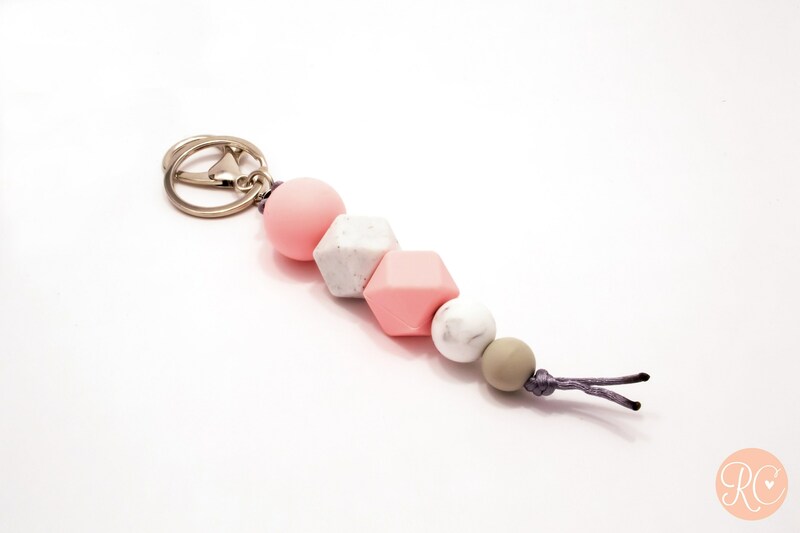 PRE ORDER - will send after April 28th - Pink, White & Grey Silicone Beaded Keychain. Just what I ordered and I absolutely love it! Shipped much faster than expected, only took 2 weeks to get to Canada, regular post. Would order again for sure. Makes it so much easier to find my keys amongst everything in the nappy bag plus a great on the go distraction for my baby! Loves to get his chompers on it.